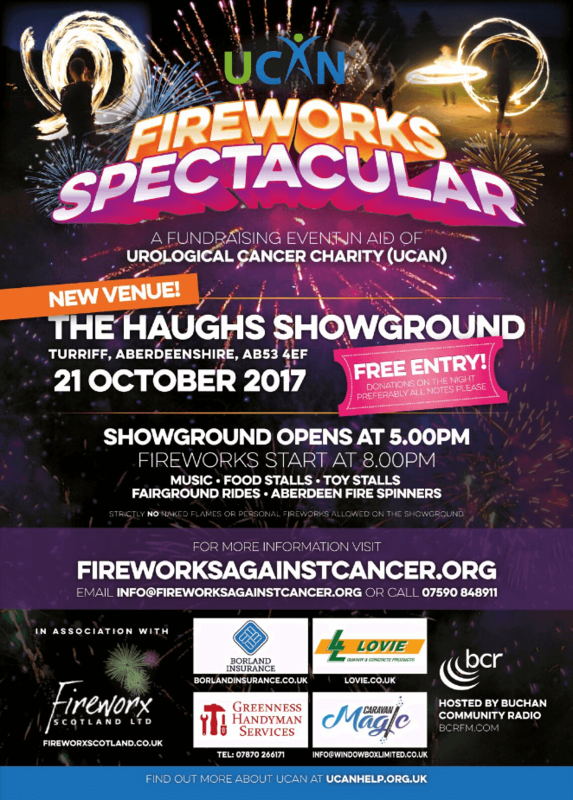 The organisers of the Fireworks Against Cancer event, which takes place on Saturday 21 October at the Haughs, have issued additional information for visitors. The event starts at 5pm with food stalls, fairground rides and other entertainment with the fireworks scheduled for firing at 8pm. Parking, there will be no parking on the Haughs for any vehicles except for Blue Badge holders and this will be on a first come first served basis. Blue Badge holders are asked to have their badges clearly on display and to use the usual access road next to the swimming pool. To comply with safety regulations we have had to close off half of the Haughs where the display will be fired from. We would ask visitors to use the two entrances on Queen Street to enter the Haughs and to not to try and use any entrances from the fields behind the Ferguson Hall, Bowling Green Road, the Caravan Park or the Auld Mill. Access from Victoria Terrace and from the Central Marts arch at the bottom of Crown Street can be used, but only towards the play park & toilets. 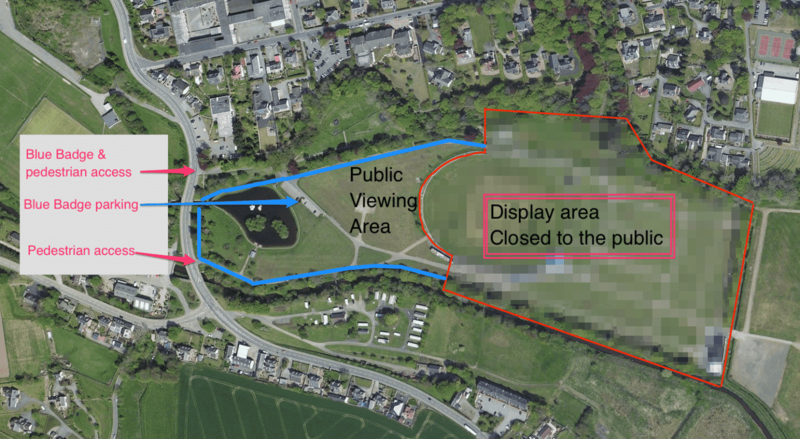 The display area is closed off to ensure that members of the public are kept a safe distance from any fireworks and so that everyone gets a great view. If anyone other than members of the Fireworx Scotland team is seen in the display area the display will not be able to go ahead until the area is clear. We want everyone to have a fun and safe night with us on Saturday. Every effort will be made by the marshalls to accommodate vehicles with Blue Badges on the car park at the boating pond but we only have limited spaces to it will be on a first come first served basis. We would ask people travelling to Turriff to park in the public car parks around Turriff, if you do have to park on the roads, please do so legally and respectfully. I would also ask that people do not bring any of their own fireworks or sparklers to the display, it is an offence to throw or set off fireworks in any highway, street, thoroughfare or public place. Anyone found with fireworks at the event will be asked to leave and may be reported to Police Scotland. The event is free to attend but we will be collecting donations for the UCAN charity based in Aberdeen and we would ask people to give generously to the charity. We are aware that there is some concern from pet owners around the Haughs and we have been trying to visit houses in the immediate area to offer advice on how to help their pets during the display. If anyone has not yet received a visit from one of our team or had information left with them, it is available on our Facebook page.